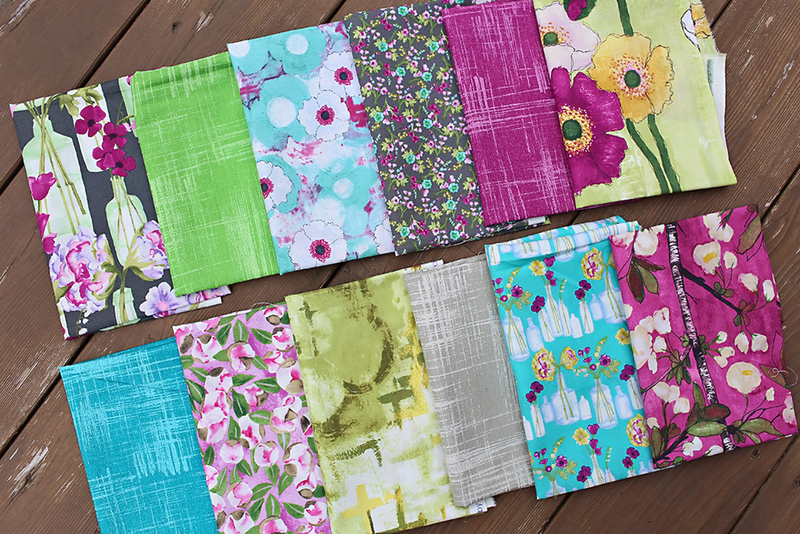 A few weeks ago I received a special package in the mail from Laura Gunn ~ Vignette, her latest collection for Michael Miller Fabrics. I'm a huge fan of Laura, from her fabric to her paintings and prints. Vignette is a collection of beautiful floral artwork. 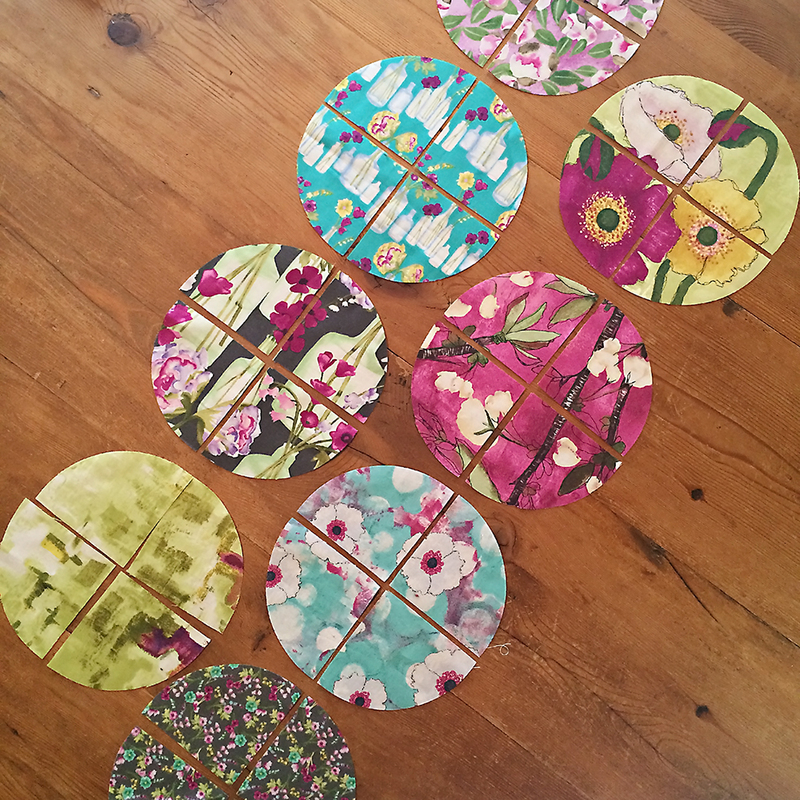 I decided to make drunkards path blocks from my bundle, using the 3-1/2 quarter circle templates I bought awhile back from my friend Jen. So handy! I selected nine of the prints and kept my background low volume scrappy. I played around a bit with the layout, finally deciding to place my blocks on point. 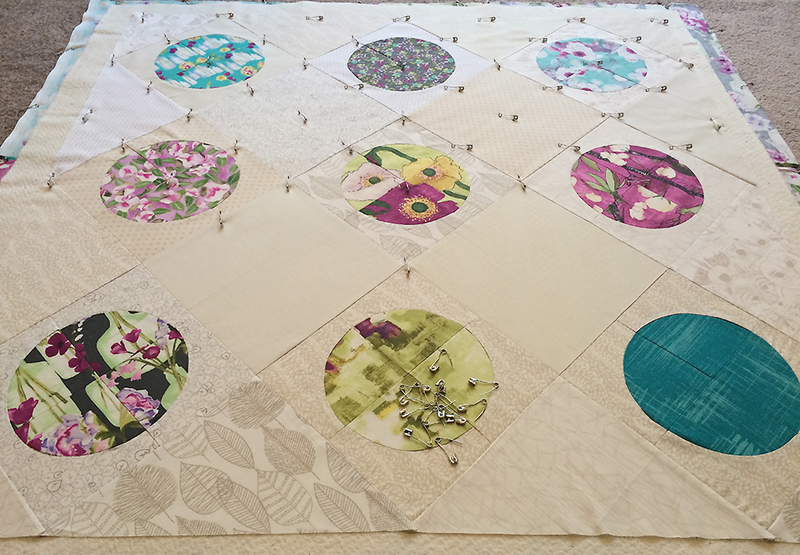 I quilted straight lines, using my BERNINA walking foot edge as my spacing guide. The quilt turned out about the size of a wall hanging. I love the neutral background against the floral prints. 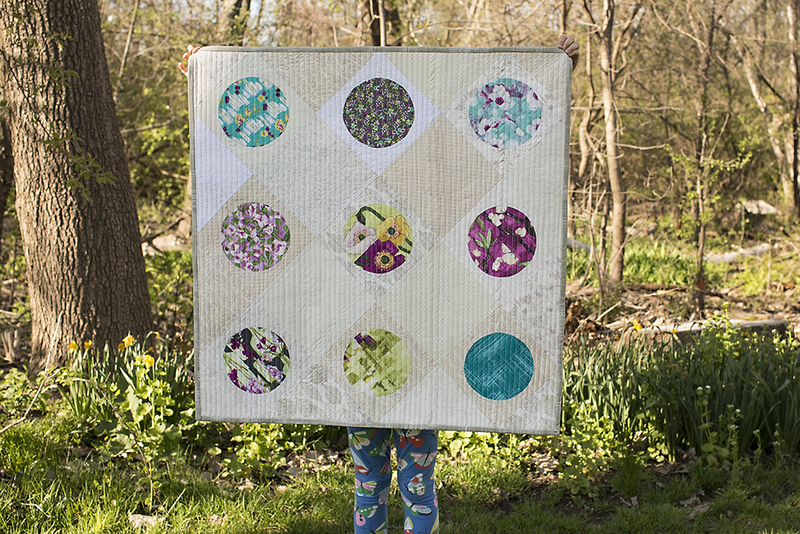 For the backing, I went scrappy with the remnants of the fat quarter bundle. You can find Vignette popping up in shops now. I hope you love it as much as I do!